My first slow stitching project today will be the binding on my Shenandoah Stars quilt. If I have time after that, I will try to get another fan quilted on this. Beautiful quilting. It looks so comforting and soft. The 9-patch is perfect with the indigo and shirtings. Have a pleasant Sunday. 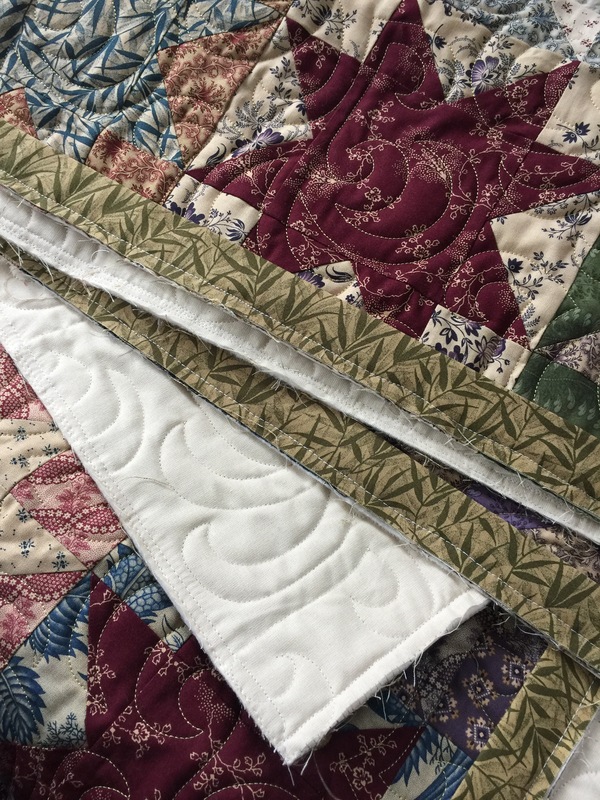 Enjoy your binding – love to see how the quilt comes together with the binding attached. Really enjoying seeing the texture the fans bring to your quilt. Your binding complements that quilt wonderfully. Enjoy your stitching. Happy Sunday, Katy! I hope you have plenty of relaxing time with needle and thread. The quilts are looking beautiful! Binding is such a satisfying hand stitching project! 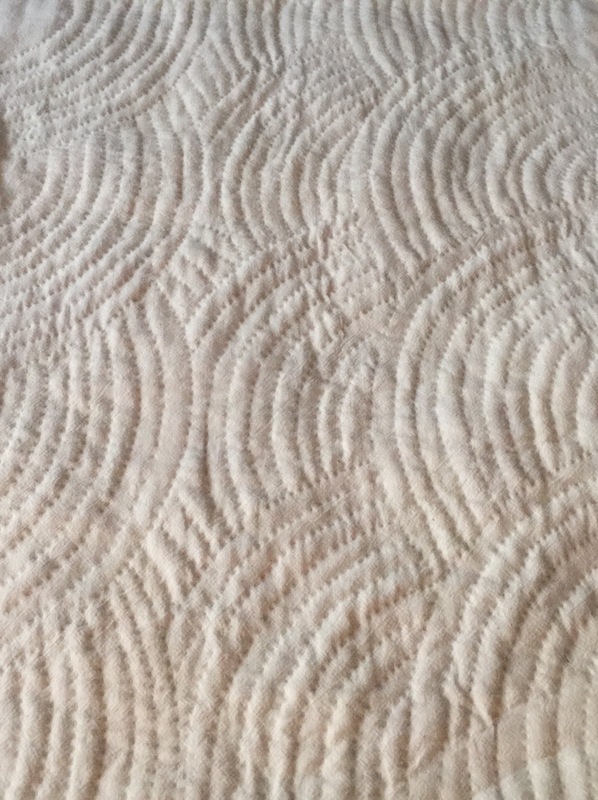 Your fans are adding wonderful texture to your quilt! Have a relaxing day! 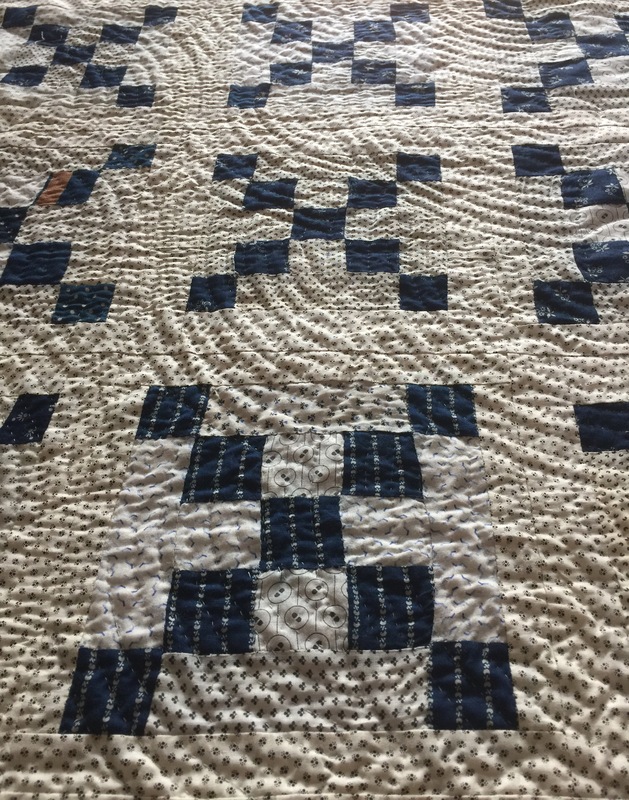 Admirable – and very enviable – quilting: do you use a hoop? A frame? Or are you able to do lovely even stitches by hand?